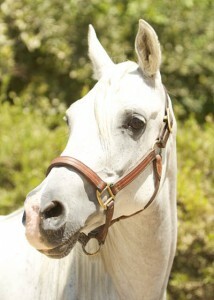 Cohen is a simply spectacular 14.2 hand old Arabian mare foaled in 2004. 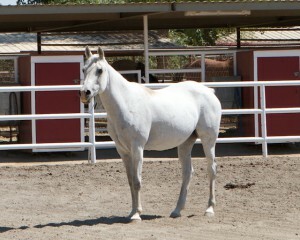 She is trained yet lacks the finesse of a professionally finished horse. Cohen is best suited for a confident and quiet rider, she would be a wonderful project horse. We cried when the reality hit us…this beauty with crimps in her mane had been loved. Our sources tell us that she had been run through the auction with braids in her mane, most likely the handy work of a little girl. How this child’s pet could end up scheduled to ship to slaughter is beyond us.